YURT CITY: Drum Set Crow's Nest is installed!! 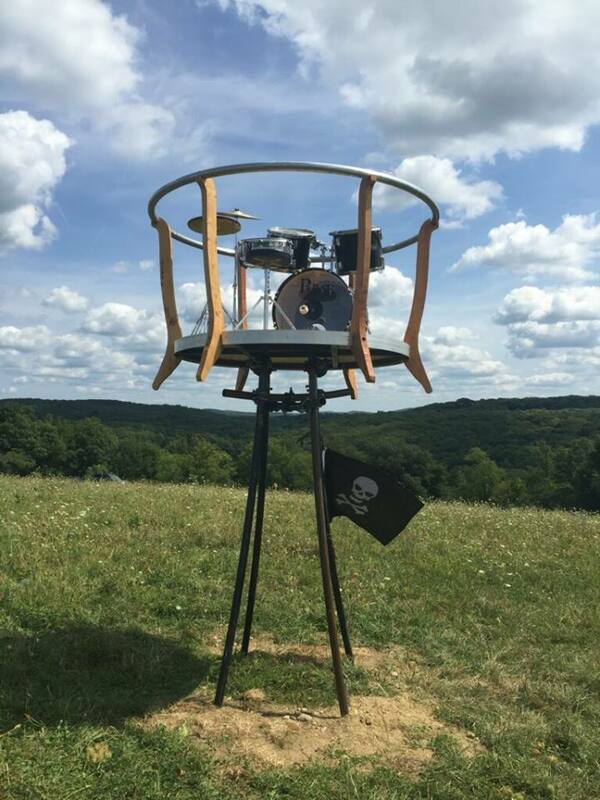 Drum Set Crow's Nest is installed!! Drum Set is finally installed after two weekends of suffering in the hot humid weather. There were some issues with the extreme heat causing the drums to melt. We decided to wait until the heat and humidity subsided a bit before leaving the drum kit to mercy of the elements. Also there was the problem of where to install the flag. This seemed to be a good solution - out of the way of the cows and the visitor/drummer.